Item #HF713. 1/35 scale. 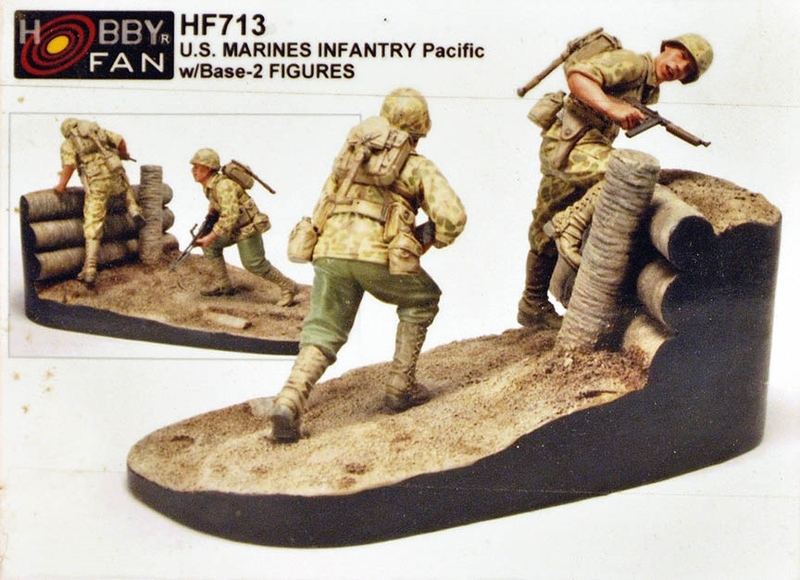 Hobby Fan manufactures detailed scaled figures. This set includes two (2) figures of WWII U.S. Marines Infantry based in Pacific with base.